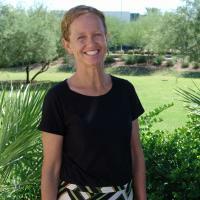 Dr. Ann Lee Burch is the Interim Dean of the Arizona School of Health Sciences, a School of A.T. Still University. Dr. Burch received her Doctor of Education (Ed.D) from Columbia University, Teachers College in 2005. She received her Masters of Public Health (MPH) from Columbia University, Mailman School of Public Health in 2002 and her Masters of Physical Therapy (MS) from Columbia University, College of Physicians and Surgeons in 1989. She was a postdoctoral fellow with the Research Group on Health Disparities at Teachers College, Columbia University. Her BA is in Psychology from the University of Rochester. Prior to her appointment as Vice Dean, Dr. Burch served as the Chair of Physical Therapy from 2008-January 2012. Prior to coming to ATSU, Dr. Burch was the Director of Physical Therapy at the University of Puerto Rico, Medical Sciences Campus in San Juan, Puerto Rico. She has held administrative and/or faculty positions at the International Center for the Disabled in NY, NY, Mercy College in NY, and Long Island University in Brooklyn, NY. Dr. Burch’s area of scholarly interest and application of that interest is in knowledge, attitudes, and self-efficacy of health care providers and health care professional students towards underrepresented patient/client groups. Dr. Burch is the author of a Guide to Physical Therapy (Vault Publishers) that was written to increase information access about physical therapy to both high school graduates and re-entry adults. She was a co-investigator on an NIH grant at the University of Puerto Rico exploring the feasibility of an exercise program for breast cancer survivors living in San Juan. Dr. Burch has lived in Symi, Greece, Taipei, Taiwan, Ahmdebad, India and San Juan, Puerto Rico and is committed to research, teaching and service that further the understanding of the impact of socioeconomic and cultural variables on health. She was a member of the Class of 2014 Cohort of Women in Educational Leadership at Harvard Graduate School of Education. In 2017 she was the co-PI on a Centers for Disease Control, Association for Prevention and Teaching grant exploring a population health case study format for teaching and communicating the impact of social determinants of health on health disparities. She was recently appointed a Peer Reviewer for the Higher Learning Commission. Learn more about the Health, Wellness and Society Advisory Board here.